You guys know I spend way too much time on this breakfast sundae thing right? From baking pies and cakes to making gigantic sundaes that photograph better, I'm probably trying too hard. It's just that... well, see, I need a new hobby. When your childhood hobby becomes your full time job, then you need a new hobby. I'm jealous of people who can take good photographs and I'm even more jealous of people who do top notch food photography. So, in my never ending quest for the perfect sundae, both in tastes and visuals, I'm always looking for new pieces to the puzzle. 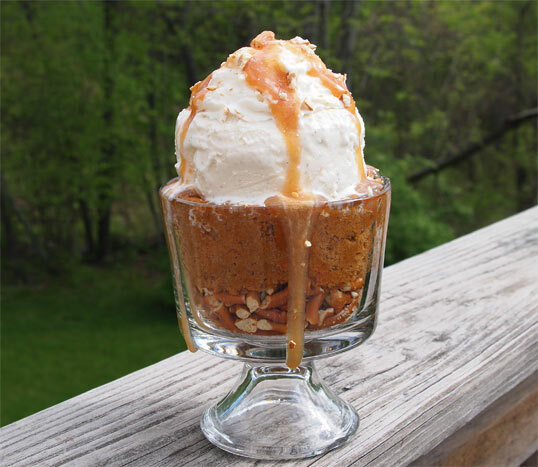 Caramel is a simple enough idea, but there are so many variations. There is the super rich, buttery version like Spoonable makes, there are the too sweet versions, too sticky, too liquidy, too dry, too salty, and too burnt. 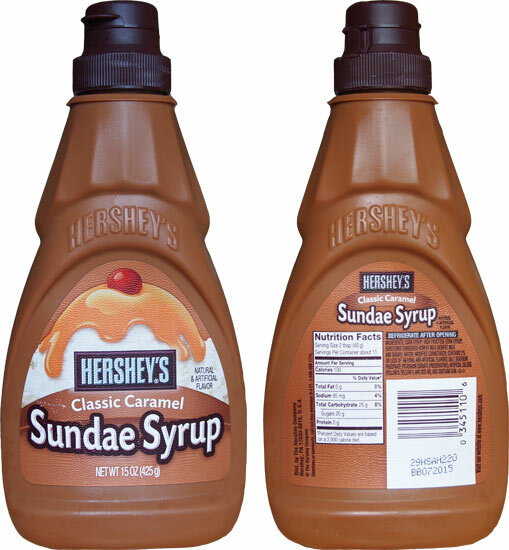 I'm happy (and a little shocked) to report that this Hershey's stuff is right on the money for the kind of stuff I need to build my sundaes with. It's got a good semi-sweet flavor that's not overpowering in anyway. It's also fat free and it's got a good middle of the road texture that worked great in my sundae. I can't have something too stringy or too sticky, and this was neither. I even prefer this squeeze bottle to those squeeze packages that Breyers has. See? Nothing to it. Yes, it's oozing down the sides a bit, but it was slow going and I managed to not make a giant mess of myself. I'll definitely be trying the other varieties to see how they hold up as well. Oh, and yes, that's the egg-free, dairy-free cake I was talking about on twitter yesterday. The recipe is just "three" ingredients. 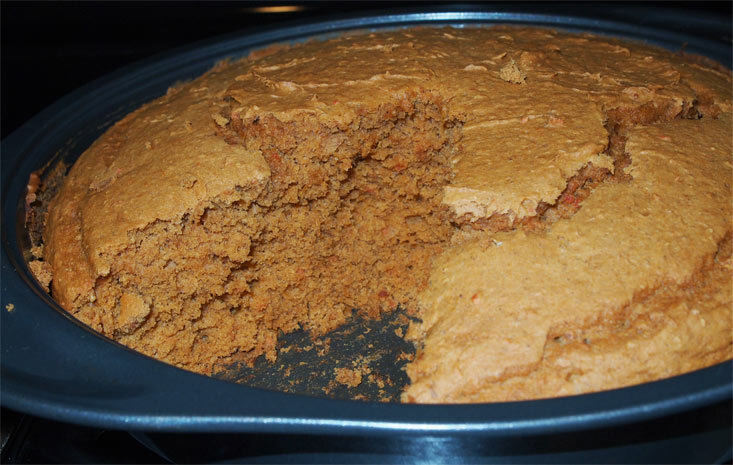 A box of carrot cake mix, a can of pumpkin (not the huge can), and then it looked a little dry so I threw in a single serve cup of applesauce for good measure. After 40 minutes at 350 degrees, it came out great. It has a little trouble sticking together when you cut a piece, so a bit of oil would probably help, but overall it's a guilt free cake and it looked great in my new mini trifle dish. I use spice cake mix, pumpkin, and mini chocolate chips to make mini muffins. hehehe, thought about chocolate chips but decided to try it plain first just to be safe, I'll do that next time!